Constant Width Objects – Not Spheres! Theoretically, to understand how they are made, you need to understand that the 3D objects of constant width are usually* spun out of a 2D object – Just like a sphere can be made by spinning a circle. Though there is a kind of constant width 3D object that is not a spun version of any 2D curve. Put the point of your compass on one vertex. Trace out an arc that starts from one of the other vertex and ends at the third one. Repeat the same for rest of the two vertices. There! You have your constant width curve. Cut it out of paper. Now around an axis dividing the shape into half, spin it. You have a theoretical 3D shape that resembles the one shown in the video above. So, since these shapes can roll things around like circles can, wheels could be made of these shapes too! Then, why aren’t wheels made that way? That is because when these shapes roll, they don’t have their centers at one place. If vehicles had tyres like these, engineers would have had a hard time designing axle systems. They are in fact used in a Wankel engine. And since the center traces a square when Reuleaux triangle rolls, they have been used in drills that can drill out square holes. There are a few pencils which are manufactured in an extruded-reuleaux triangle shape. These pencils can roll around smoothly like circular pencils. 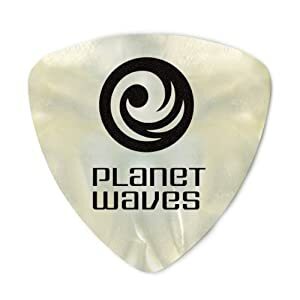 For some reason, even guitar picks are often manufactured in these shapes. Instead of spinning around a constant width 2D object, a 3D constant width object can be made by modifying flat tetrahedron faces using intersections of sphere faces. As it can’t be done on a lathe, these are particularly hard to machine. It is called the Meissner’s tetrahedron or the Reuleaux Tetrahedron. Might The Planck Length Be The Next Big Thing? Posted on February 5, 2014 February 5, 2014 Categories MathematicsTags 3d, constant width, Curve of constant width, curves, diameter, Equilateral triangle, latestpost, mathematics, Reuleaux, Reuleaux triangle, science, shape, shapes, Sphere, Wankel, Wankel engineLeave a comment on Constant Width Objects – Not Spheres!